There’s some £6 trillion locked up in the value of the UK’s homes. So, the fact that almost two-thirds of people between the age of 20 and 35 have parents who own their own home should signal good news: when these parents die, this country will see one of its largest inheritance booms. Will baby boomers dying play a likely role in closing the generational wealth divide? Not for everyone, it seems. 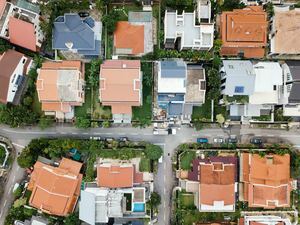 While the wealth accumulated by older generations, found increasingly in property, will give a major boost to the younger generation’s own wealth, these folks won’t reap the benefits until they’re around 60 years old. Further to this, it’s probable that the boom will only maintain existing wealth divides. How will baby boomers’ inheritance affect their children? 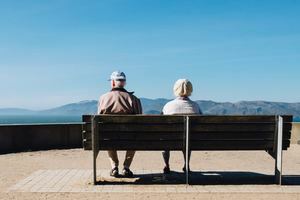 A major survey by the Resolution Foundation has proposed that inheritances are set to more than double over the next two decades and peak in 2035, as the generally well off baby boomers – who currently hold more than half of Britain’s wealth – start dying. This means that a larger amount of young people today are likely to benefit from inheritance than did in the past, increasingly from the rising value of homes. By contrast, only 38% of adults born in the 1930s received an inheritance. Will death be good news? It’s not all good news, and the boom comes at significant costs and factors. According to the report by the Resolution Foundation, inheritance will come too late and too unequally shared to solve the current crisis in home ownership and wealth inequality amongst so-called millennials. Inheritances and gifts will undoubtedly have an important part to play in boosting the wealth of younger generations; giving them a step up onto the property ladder by contributing to a deposit, for example. Not all younger people, however, have home-owning parents. It’s the case that nearly half (about 46%) of non-home owning millennials (those aged 20-35) have parents who don’t own a home either. For these younger people, the inheritance boom will only perpetuate existing wealth divides. By contrast, 83% of millennial home owners have a parent who also owns their own home. The older generation are living longer, compared to the generation before. Based on their parents’ life expectancies, the Foundation report estimates that the most common age at which millennials inherit will be 61. These wealth boosts will come, then, not when they most most need it – when people are starting families, or when they need more space – but when they’re approaching retirement. The Foundation report states that inheritance will play a big role in widening existing gaps between richer and poorer young people. Given the wealth of baby boomers but a continually weak income growth, the inheritance boom will make it harder still to become financially stable on your own. Due to the changes to inheritance tax implemented by George Osborne in the Summer 2015 Budget, inheritance tax won’t impact on these widening gaps too heavily. The new housing allowance – once it’s fully put into effect in 2020 – will halve the average tax burden on young people’s property inheritance compared to current levels. It’s clear that the inheritance boom after the older generation dies will only add to the existing complexities around wealth and income growth for the current younger generation. Inheritance tax is currently charged at 40% on estates above £325,000, but a phased increase in allowances, first announced by George Osborne in the Summer 2015 budget, effectively allows parents to leave homes worth up to £850,000 to their children free of tax. This will rise to £1m by 2020. Read our article on inheritance tax to find out more. Take a look at more of our Finance articles at DEATH.io. Which generation is least likely to talk about death?